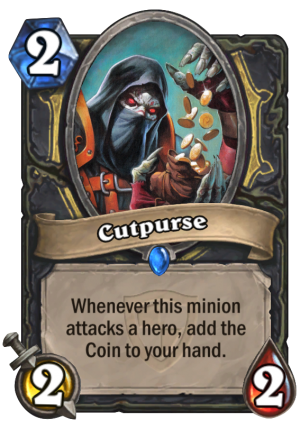 Cutpurse is a 2 Mana Cost Rare Rogue Minion card from the The Grand Tournament set! 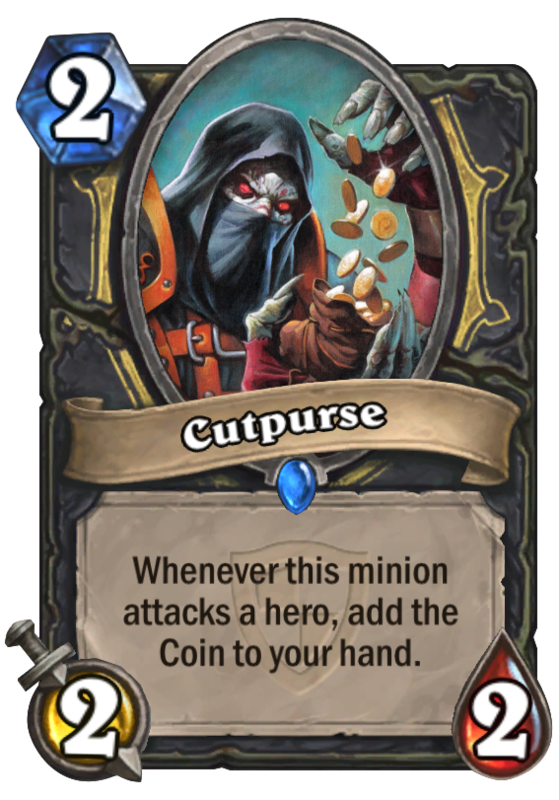 When this minion attacks the enemy hero, put a Coin into your hand. He has a giant collection of purses now. One for every outfit! Burglar is good on paper, but it is far from consistent. I think I would still play it, since the coins would be great combo enablers. With this card, Shado-pan cavalry could be awesome. 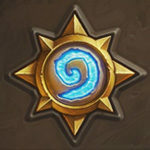 Blizz TRYING to bring back miracle rogue?